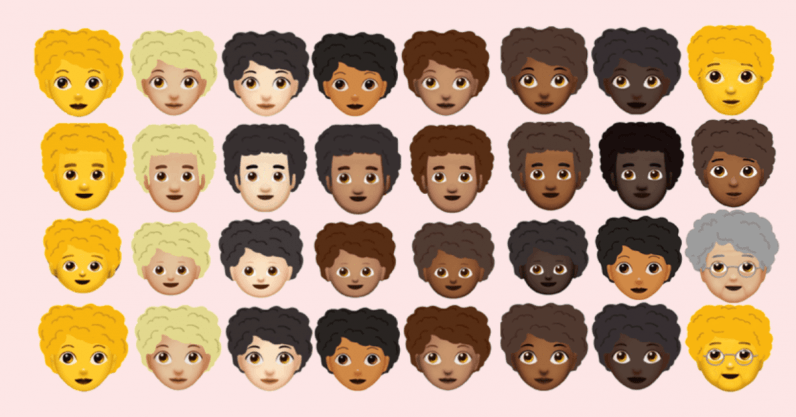 Various communities have finally been represented in emoji form, from interracial couples to the trans community and those living with disabilities. But while there seems to be an emoji to represent everyone and everything, a significant group has been completely left out — people with Afros. Writer an emoji activist Rhianna Jones is on a mission to change that. She’s collected over 37,000 signatures with her campaign ‘Let’s Make the Afro Emoji Happen #AfroHairMatters’ for 2020. After Tinder’s campaign succeeded for interracial couple emoji, Jones felt inspired to submit her own campaign. “As a biracial woman this resonated deeply with me, and while I’m appreciative of the different skin tones, there still isn’t a single emoji that resembles me,” Jones told TNW. Currently, the Unicode Consortium, the gatekeepers who decide what emoji make it onto our phones, have approved 3,019 designs so far. Yet there are still no emoji of any person with an Afro, even though there are symbols for men and women with short and long hair, curly and straight hair, and blond, red, and black hair. In addition to getting Afro emoji approved by the Unicode Consortium and made available on our phones by 2020, the two activists hope to spark a larger conversation about the lack of natural hair representation in the media. To support the natural hair movement and empower more people to celebrate not only their skin color, but the hair that they’re in, sign the petition.